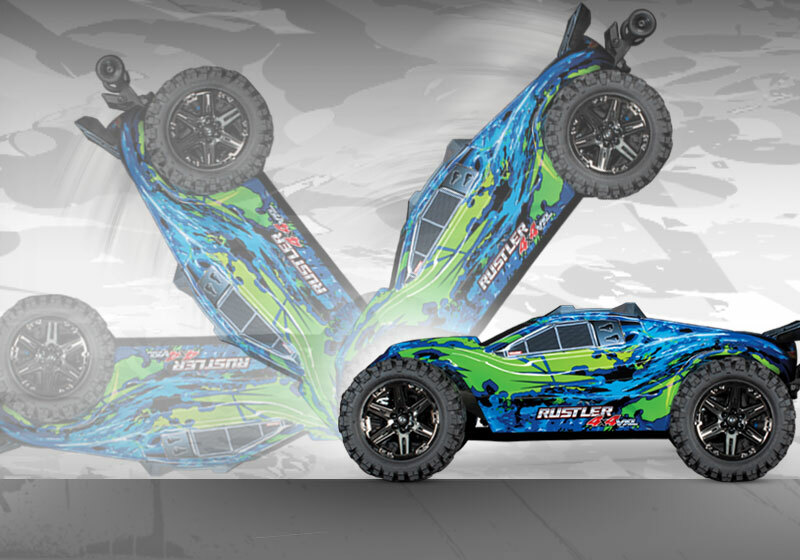 The Rustler 4X4 VXL uses Traxxas’ patented Self-Righting feature to keep the fun going, even when you get carried away with the wheelies or land that big trick upside down. 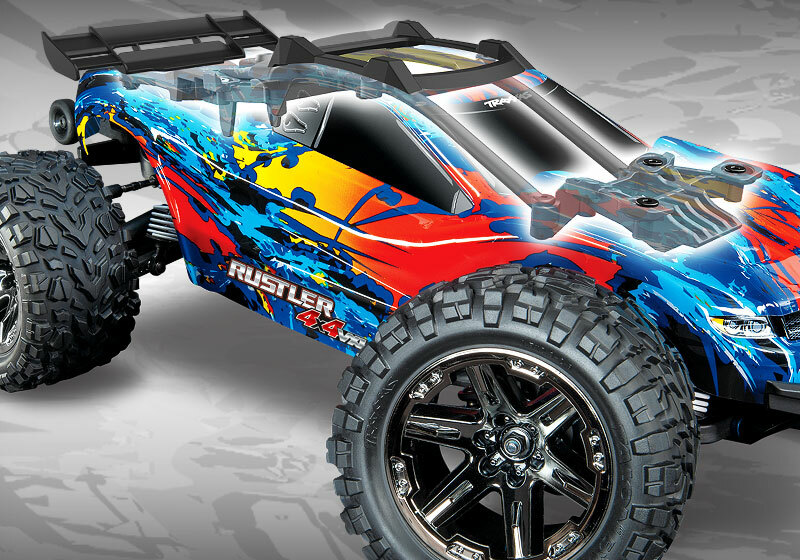 Simply press a button on the TQi transmitter and, in most circumstances, the Rustler 4X4 VXL will be back on its wheels in just seconds and ready for more action! Similar to the flagship E-Revo, the Rustler 4X4 VXL uses a clipless body latching system for secure mounting and fast, one-handed removal and installation. 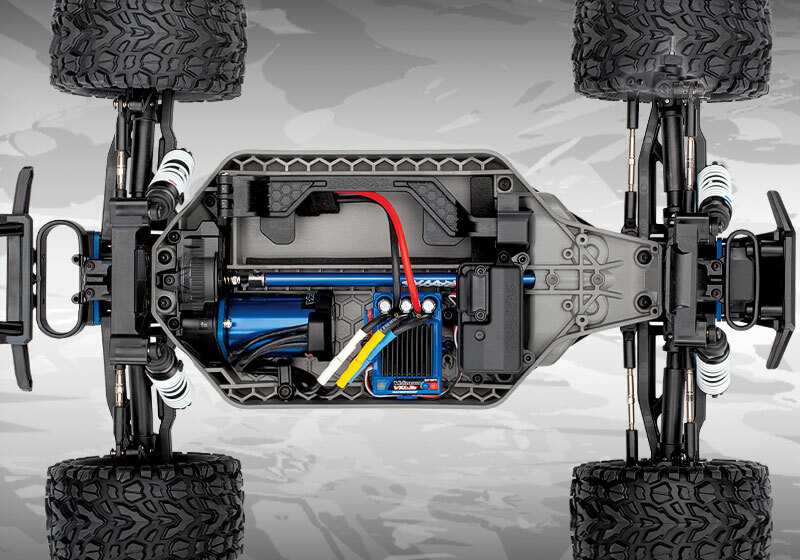 The sleek, aerodynamic body features a rugged internal structure and external rollover protection for long life and Traxxas-Tough™ durability.